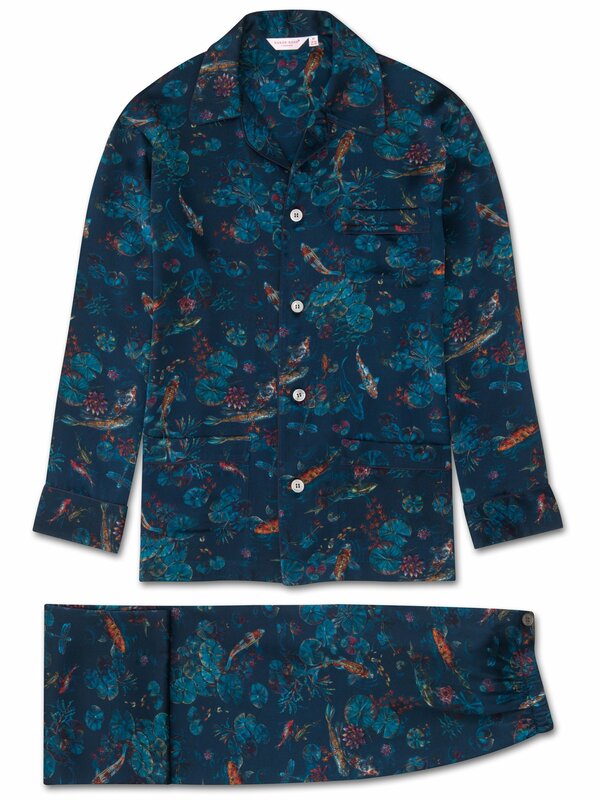 The Brindisi 28 silk classic fit pajamas feature our stunning hand-drawn print of the season that utilises a dark navy background to offset the colourful, inky illustrations of koi carp swimming amongst the lily pads - traditionally a symbol of luck and prosperity in Japan. Handmade in our workshop in Cheshire, England, the Brindisi 28 classic fit pajama is cut by hand to ensure we uphold the supremely soft and elegant satin finish. 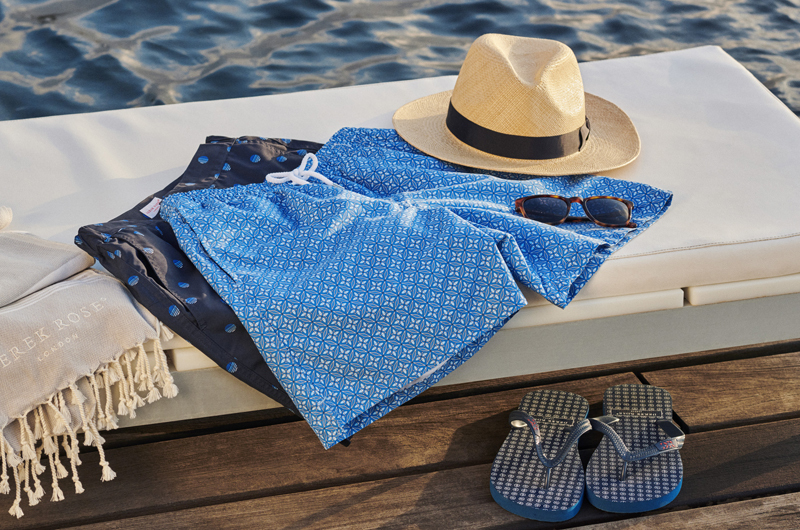 Produced in extremely limited quantities and the result of hours of loving craftwork by our skilled pattern cutters and seamstresses, you're sure to feel like royalty while lounging at home in our comfortable and beautiful silk sleepwear. The Derek Rose classic pajama features a generous cut and is made to a specification first developed by Mr Derek Rose decades ago and refined over the years. Featuring a three pocket jacket, classic collar and adjustable two button traditional fly, this PJ is piped in complementary navy piping and has elasticated sides on the pants, meaning the front and back are flat for your comfort.